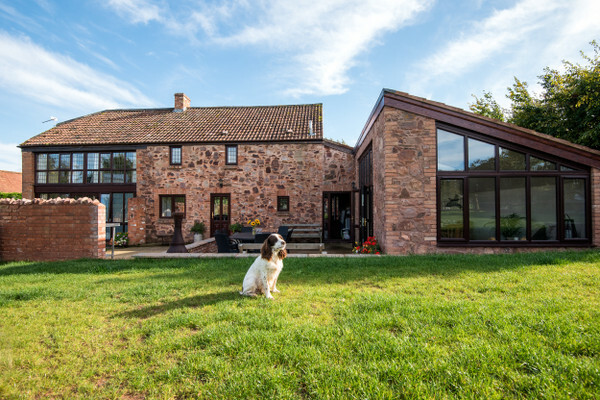 This detached barn conversion is elegant and charming. 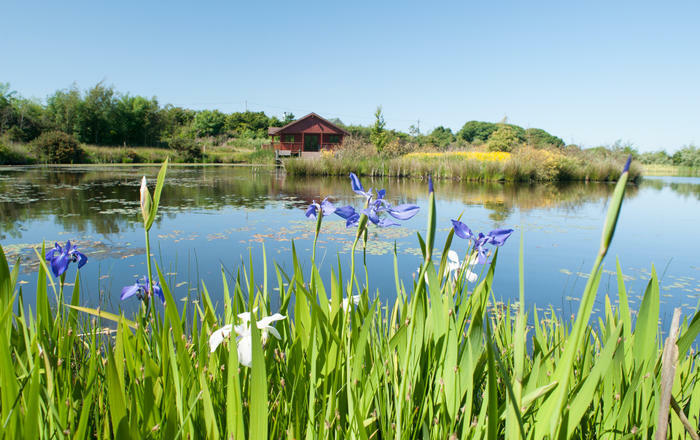 Set in 70 acres of farmland, you can live the country lifestyle… including a supply of fresh eggs from the free range hens. There are some good walks on the doorstep, the local pub, the Lamb Inn is nearby and the nearest shop is just 3.5 miles away. Explore the surrounding area - walk in the Quantocks and ramble on Exmoor. 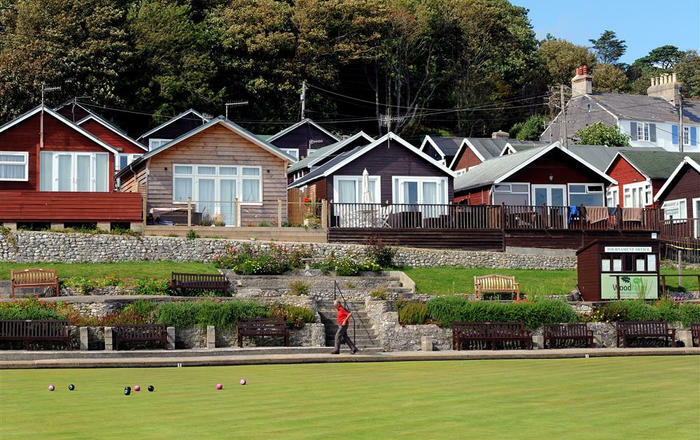 Attractions within easy reach include Dunster with its famous castle or perhaps have a retail therapy at Clarks Village. Somerset World, The Fleet Air Arm Museum, Cheddar Gorge, The Walled Gardens of Cannington are all within easy reach and the ancient town of Glastonbury with its towering tor is just 15 miles away. Want the beach within reach? The Jurassic Coast’s Kilve Beach is 9 miles away… a great place to delve into the past and go fossil hunting. Further afield you have Watchett, Blue Anchor and Minehead. 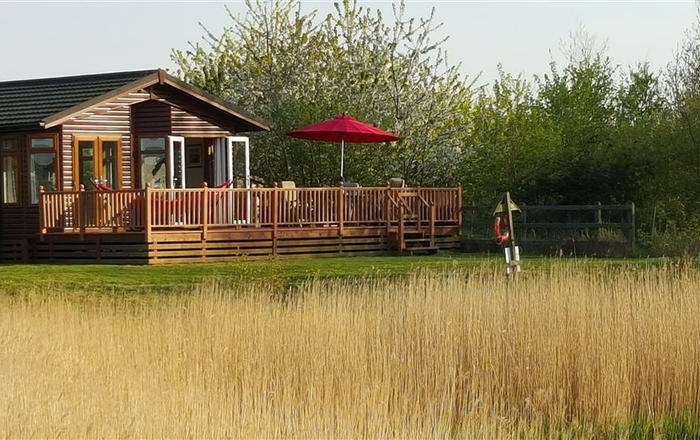 Orchard Farm Cottage offers a high standard of holiday accommodation for 12 in the tranquil Somerset countryside. Accommodation: All bedrooms have a wall mounted TV. 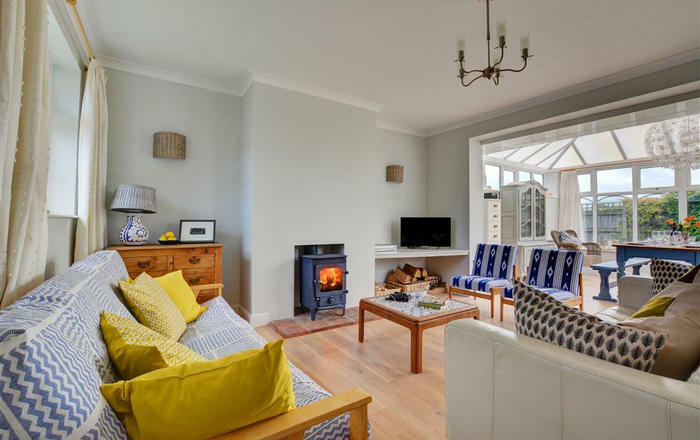 1 family bathroom, 3 showers, large lounge, kitchen, new conservatory dining room, large, flat lawned garden with trampoline & swing set, terrace with outdoor table & chairs, large gas BBQ, table tennis table plus ample parking. 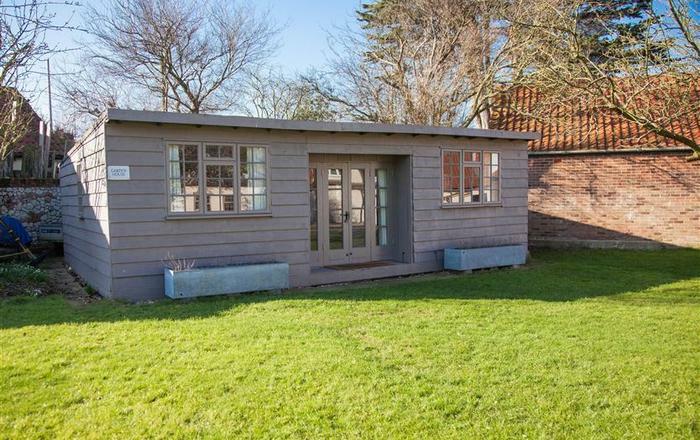 Ground floor: Sitting Room: wooden floors with rugs, open beams, range of chairs and sofas – to seat 14, log fire. Large TV, DVD and video player. 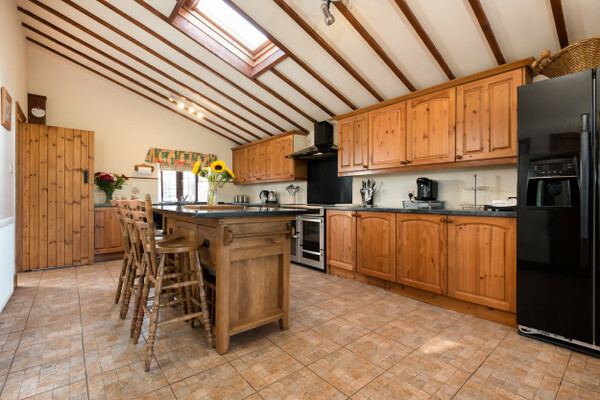 Kitchen: open plan, well appointed rustic style country kitchen with a large range electric cooker and American style fridge/freezer, full size dishwasher, washing machine. 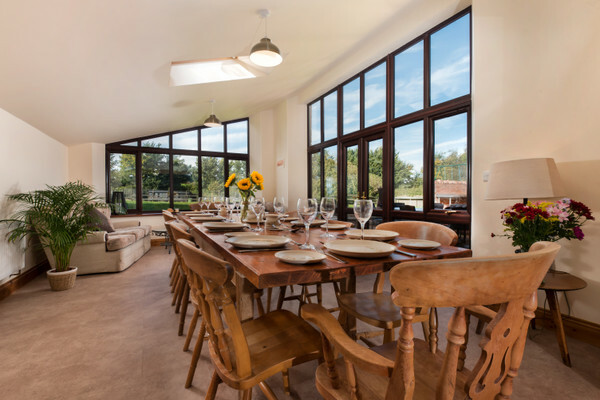 Spacious newly built conservatory style dining room: lofted ceiling, farmhouse table seating up to 13 guests. Private panoramic views of the terrace patio and lawn. Utility room: tumble drier. 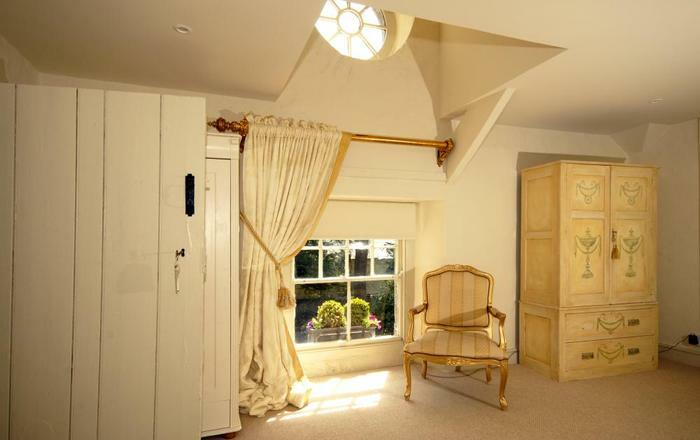 Bedrooms: Two double bedrooms on the ground floor - one with direct access to the garden. Accessed off the same shared corridor, to the downstairs shower room with WC, additional separate WC next to the utility room. Ground floor offers accessibility for all. First floor: wooden staircase to spacious landing: 4 more bedrooms and a bathroom with a shower over the bath and a WC. Two king size bedrooms and two double bedrooms, one of which has an additional double sofa bed. Master bedroom with king size bed overlooking the sunny back garden. Two of the bedrooms feature corner shower units and sinks - although all bedrooms do have access to the full family bathroom and separate WC on the first floor. Stripped wooden flooring. Outside: Enclosed garden with trampoline and swing set. In the summer the outdoor eating area, BBQ and picnic tables offer a warm, sunny spot for alfresco get-togethers. And beyond… The farm has a variety of friendly chickens and ducks that love to be hand fed. The fresh eggs add to the perfect farm holiday experience. When the time comes to rest in the outdoors, a simple gazebo is the perfect spot amongst the trees. 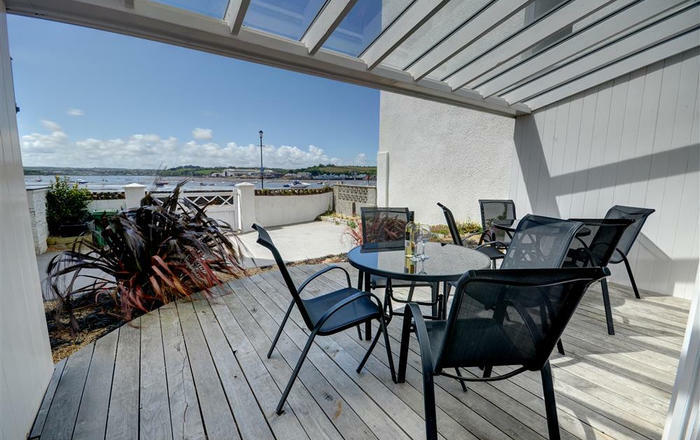 Parking: The property is approached via a private entrance which is shared by the owners. There's plenty of parking for several cars. Mobility:If you have mobility needs it is advisable that you contact us before you book to ensure the property meets your specific needs and requirements. Facilities and services: WiFi connection available. 6 bedrooms (sleeps up to 12+2 extra on sofa bed). Will accept 4 dogs (£25 per dog per week) Bed linen and towels provided. (Beach towels not supplied.) Arr/Dep. For weekly bookings is Saturday. 4pm arrival & 10am departure. Short breaks available in low and mid season. Garden furniture and BBQ provided. 2 Travel cots and high chairs available. Private parking. 4 star rating. 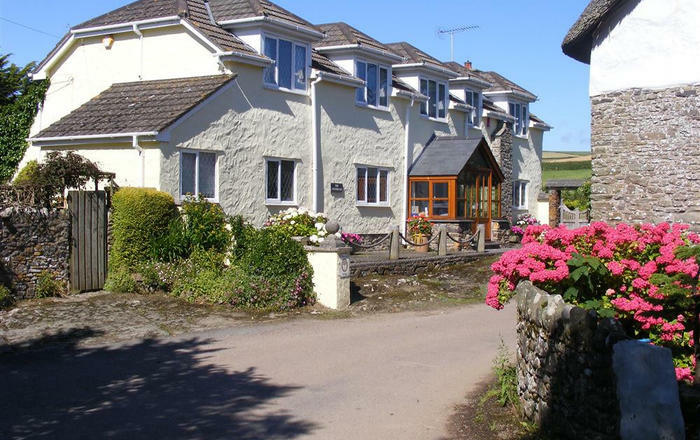 Security deposit: This property has a refundable Accidental Damage Deposit of £500, which is payable to Marsdens Devon Cottages with the final balance of your holiday, eight weeks prior to your arrival, and is refunded within 5 working days of your departure. Alternatively, you may wish to pay a non-refundable Accidental Damage Deposit Waiver equivalent to 10% of the Accidental Damage Deposit value, which covers you for the full value of the Accidental Damage Deposit, should any damage occur during your stay.